This giveaway has ended on Jul 11th, 2017. 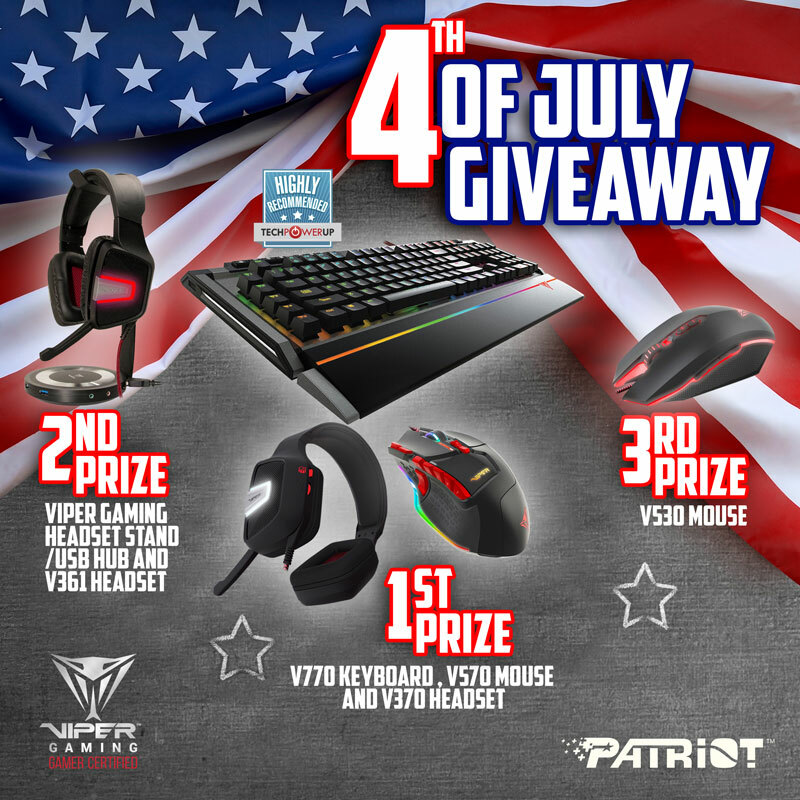 The giveaway starts Jul 3rd, 2017 00:00 UTC and ends Jul 11th, 2017 23:59 UTC. Prizes will be given away in the week following the end of the giveaway. This giveaway is open to participants from North America. Winner is not responsible for shipping cost or customs fees. Anyone, any age can enter where legal. Winners will be chosen at random from all submissions. If a winner can not be contacted after 7 days, another winner will be chosen at random. We won't email you, or share your email address or personal information with 3rd parties, except when you win a prize, to arrange delivery.